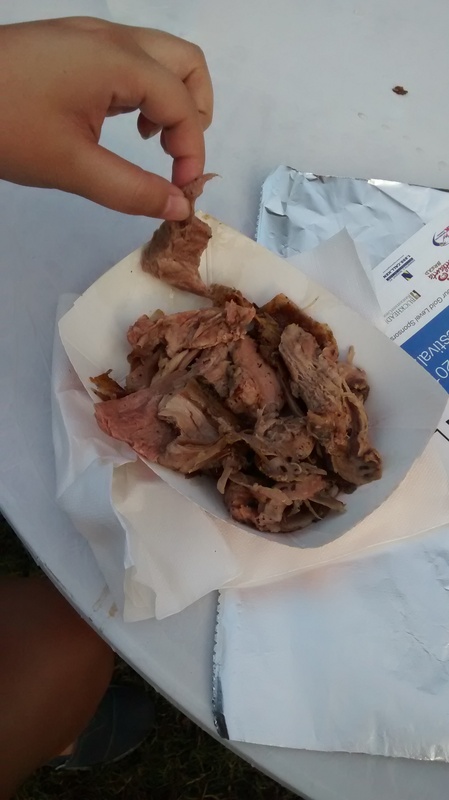 If an outdoor festival along with incredible history, and great food sound like something you may be interested in, I highly recommend the Atlanta Greek Festival. Happening in the fall at the Greek Orthodox Cathedral on Clairmont Road in September, this festival has become one of my favorite to attend. The family friendly atmosphere, traditional music, merchants selling their wares, and the smell of lamb smoking in the background, you can’t beat this for a beautiful afternoon. 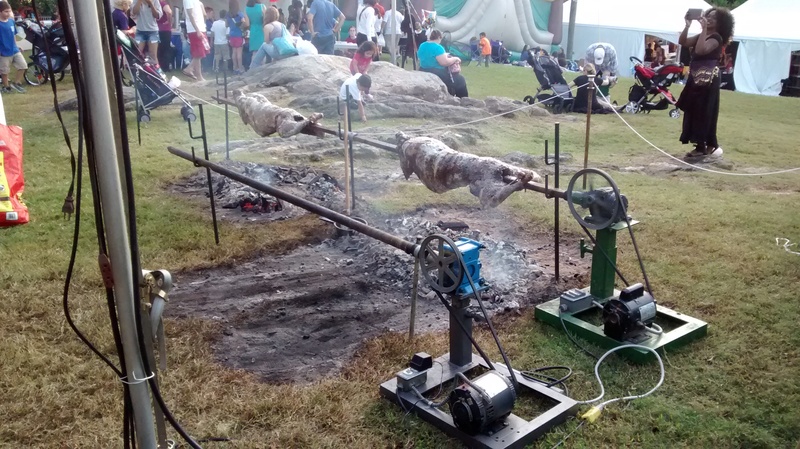 Seeing the whole lamb rotating on the spit really gets my imagination going. I often wonder why I don’t have one of these set up in my backyard. The best part is, you can then buy lamb by the ounce. 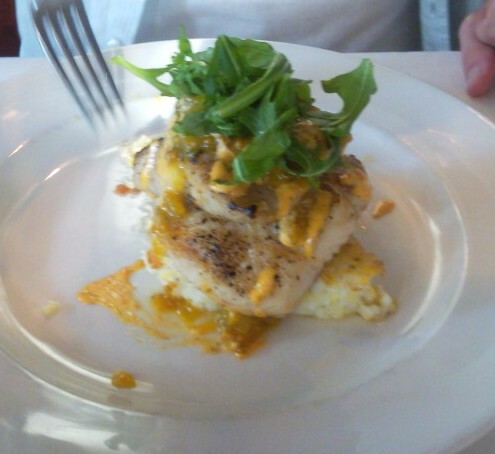 I am talking delicious! And do you want to know what is awesome? if you don’t have time to actually attend the festival, they have a drive through so you can still enjoy the food. How amazing is that. It seems like these days everyone is talking about Pho. Well let’s talk about some Pho then. 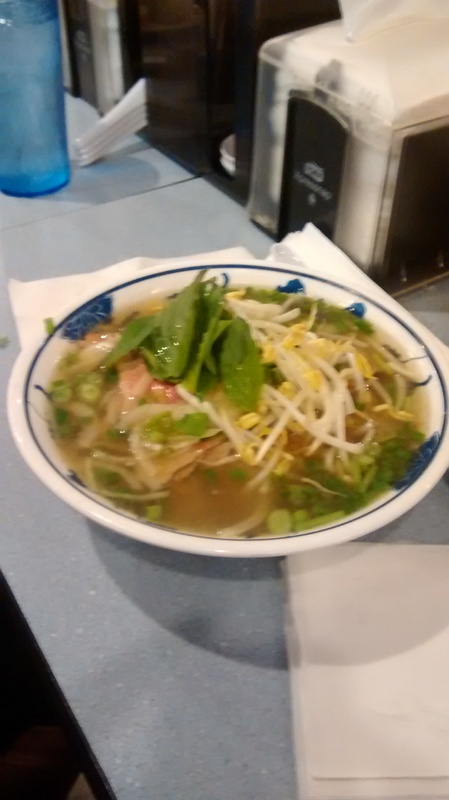 I was introduced to Pho when a dear Vietnamese friend took me to what they declared to be undoubtedly the best place in town for pho- Pho Bac. I went along not knowing what I would really discover or even whether or not I would really like it. Often times described in a way that sounded like both a hang over cure and a medicinal remedy for anything and everything. Naturally I took a grain of salt with me and we went inside to dine on the mythical dish. What I found was a complex broth with noodles and meat. Not a bad start. With a handful of the Vietnamese herbs that is included, the flavors really are delicious. I am a big fan of the broth, and may go a little light on the noodles (requested when they take my order), and a heavy hand on the herbs, for my custom crafted bowl. You can even, and are supposed to, add a little hoisin and sriracha, for heat, sweet and spice. By this time, the beef and the broth, and noodles are all warm and deliciously complex. I have even been known to go “cereal bowl” on it a turn up the bowl, drinking the remaining broth. 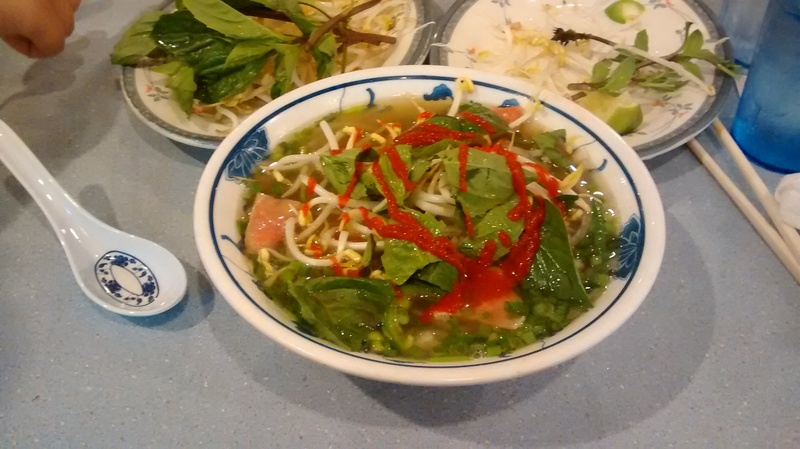 For a filling, flavorful and really healthy dish, you can’t beat Pho Bac.